The French midfielder is having a tough time. Like much of Jose Mourinho's Manchester United squad, Paul Pogba is looking very low on confidence at the moment. Hardly surprising for a big money signing who has been criticised by his manager and regularly dropped, Pogba has looked a shadow of himself when on the pitch for the Red Devils recently. 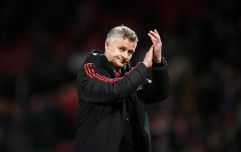 This situation was exemplified on Wednesday evening during United's final Champions League group game defeat to Valencia at the Mestalla. Defeated by a scoreline of two goals to one, United were absolutely atrocious from start to finish, bar a rare few moments of quality here or there. For the most part, it was dreadful though, and no moment more so than Pogba's glaring and shocking miss from well inside the six yard box. The only possible defence of Pogba could possibly be that the ball was high when it arrived at him. But he is also tall, and a professional footballer, so it should have been fairly straightforward. It wasn't though, and instead he missed it, with just an incorrect offside flag sparing his blushes. Now, ignoring that clip or not, you may well have watched Pogba in recent weeks or months and thought to yourself 'Paul Pogba needs to focus/practice/concentrate more'. You probably didn't watch him play and think 'he should watch more YouTube videos', unless of course, your name is Michael Owen. "He could do a lot worse than just go and watch a lot of Paul Scholes videos." "If he was playing under Guardiola or Klopp, we'd be looking at one of the best in the world." 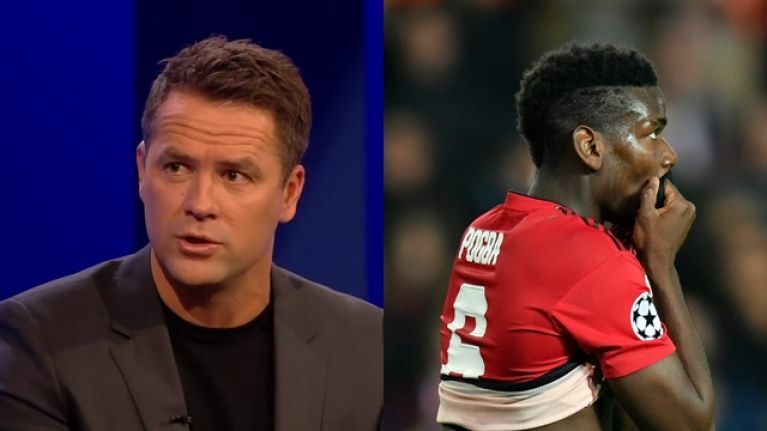 "I feel sorry for him from that point of view but, as a player, it is frustrating when you watch him because he still looks like a 16 or 17-year-old learning the game," said Owen on BT Sport prior to United's defeat. "I think he could do a lot worse than just going to watch a load of videos of Paul Scholes – see when to play one touch, see when to take loads of touches, when to beat players." So there you have it, if you want to become a world class footballer just watch videos of Paul Scholes.